English language for all levels and ages. 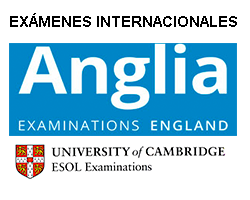 Preparation for Cambridge, Trinity, Anglia, Oxford, Usc… examinations. Intensive courses for young learners. Reinforcement for Primary, Eso, Bac. Summer school and Language immersion camps. Organized trips to Great Britain and United States. Reduced Groups maximum 10 / 12 Students per class. Super reduced groups 2 to 6 Students per class. 90 % of the class given speaking English.